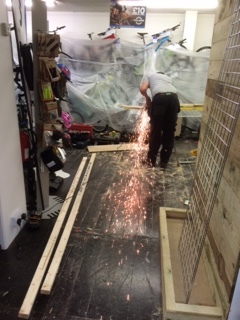 Every week we make some changes to the shop. Some big, some small. This week we made a big change. 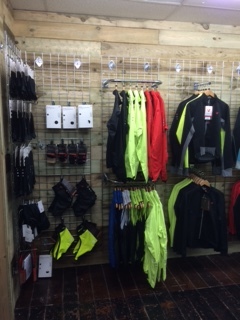 We haven’t been able to offer a good selection of clothing due to the lack of an organised space. We also haven’t had a great area for customers to try on clothes. So we fixed it. 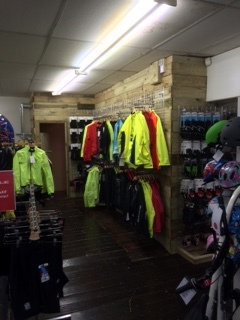 We now have a clothing section and a changing room. I wanted to share with you some of the pictures I took of the work in progress. This area was used for parts and accessories storage and had a bike display table in front. This was all removed. 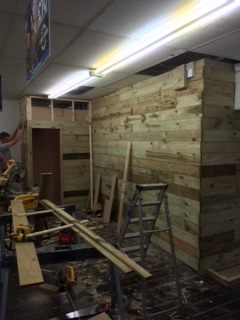 The walls were then covered in rough cut timber and the structure of the changing room built. This took most of the day to get to this stage. 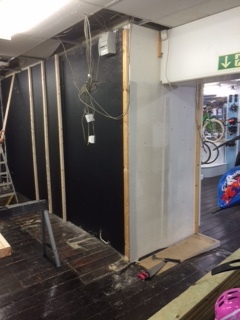 The grid wall was then trimmed to the correct size and installed. After this was the big clean up. 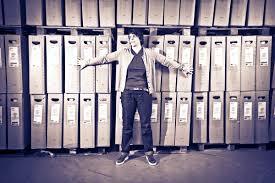 The clothing was then merchandised in colours, size order and gender. 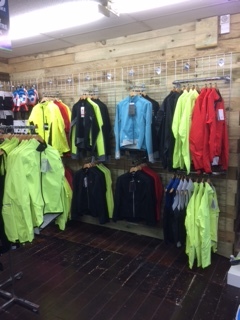 We hope you enjoy the changes we have made to the shop and we look forward to helping you select the right jacket, jersey, base layer, whatever it is you need. The Cycle Centre savings club is up and running! £10 reserves a bike and we will store it for you until you are ready to collect it. Simply pay amounts to suit you and once the bike is paid for its yours! We like to try and keep things as simple as possible and it doesn’t get much easier than this. 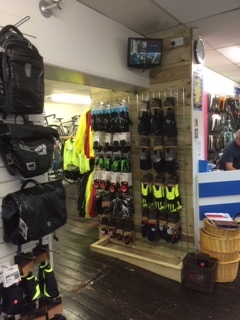 Call into the shop where we will set up an account for you and select the bike and accessories you would like us to put away for you and that’s it. We are putting on a cycling event at The Cycle Hub on Wednesday 17th September at 7pm. I worked alongside Chris Garrison at Trek UK and we often attended events to talk to riders about position on the bike. Chris has also held talks at various Cycle shows and has built up a bit of a following but she has never presented one in the North East. I felt this was a great opportunity to get Chris to Newcastle and make an evening of it. The focus of the event is to answer those questions that you have either been afraid to ask or you didn’t realise needed answering. 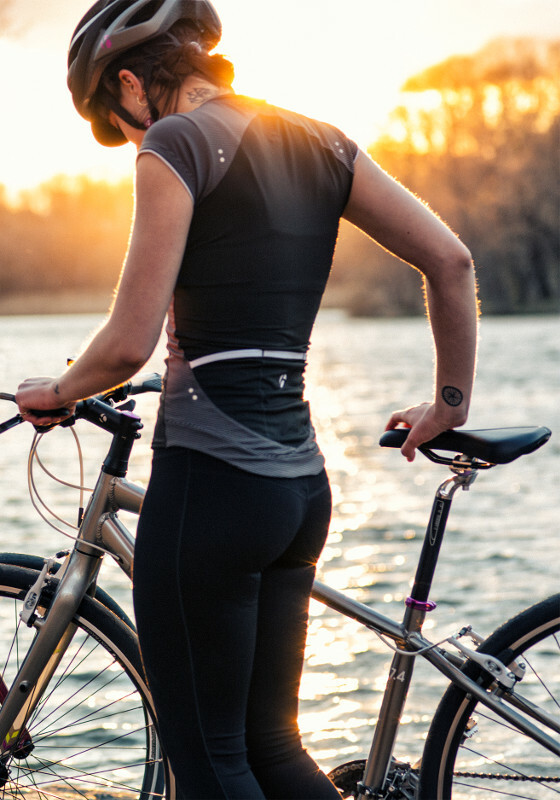 If you suffer from aches and pains after a ride it maybe that you are suffering from a poor bike setup, the pain from your saddle may not be just a result of riding a bike, it could be that you have an ill fitting saddle. That neck and shoulder ache might not be just be because you have been trying extra hard on the bike, it could be upper body positioning. If you are an experienced rider I feel certain that there will be nuggets of information that will benefit you on your next ride. If you are new to the world of riding a bike there will be lots of useful hints and tips for you too. 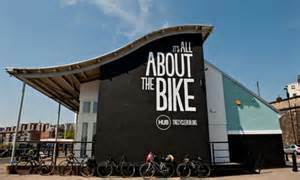 The event is being held with our friends at The Cycle Hub on the Quayside – NE6 1BU, there will be drinks and snacks and a fully licensed bar. It will be a really entertaining evening and I hope to see you there! 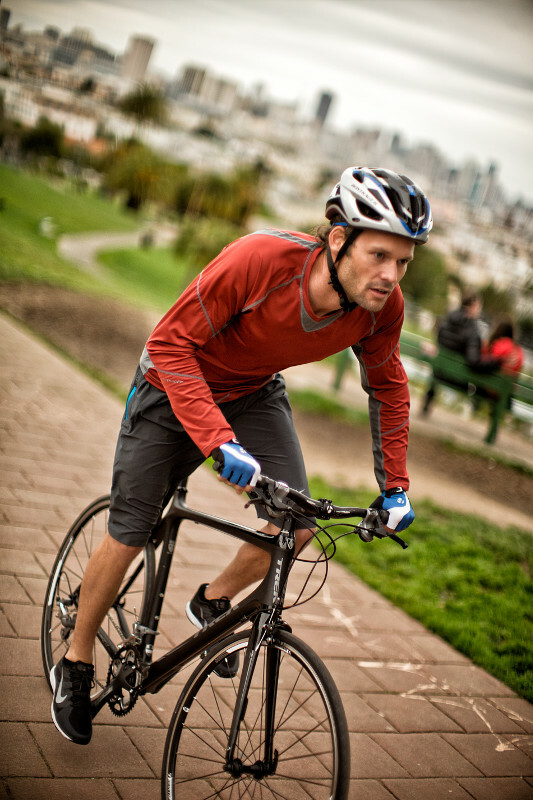 We recently received a range of Trek, Bosch equipped electric bikes. We are no stranger to electric bikes in the shop but we have never really stocked electric assist mountain bikes. Yesterday I took out the Powerfly+ 5 which retails for £2000. 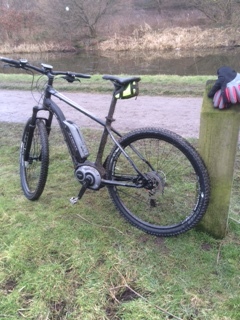 This is Treks entry level hardtail mountain bike, it still has the 400Wh battery as do all the Treks but it has the lower torque Active Cruise motor rather than the Performance Cruise on the higher models, but I still had a blast on the bike! Front Suspension. RST Aerial 29 RL w/air spring, w/remote lockout, TnL cartridge, custom G2 geometry w/51mm offset, 100mm travel. Deore shifter, SLX shadow rear mech. After fully charging the battery the head unit reads 89 mile range in the Eco mode, Eco is the most efficient setting offering a little assistance followed by Tour, Sport and Turbo. 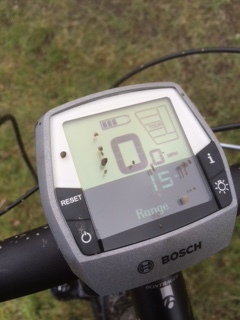 As each level is selected the range is adjusted to reflect in the increase in power usage but obviously it can then differ according to the amount of power you put into the pedals and then of course once you throw in some hills! I wanted to test this bike out as a mountain bike and not be precious about the electronics. 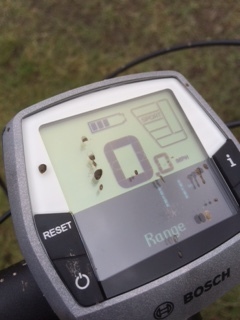 I also wanted to test the range on the bike using a mix of the different assistance levels after 30 miles I took some pictures of the head unit and selected the different assistance levels to give me a rough range figure. The assistance levels are on the right of the screen with the estimated range levels on the lower half of the screen. I must admit to using to turbo mode to blast up hills and to get up a technical ascend that normal catches me out, I was pleased with the amount of power still left in the battery. 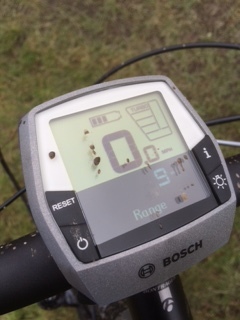 The motor unit measures your pedalling up to 1000 times a second, measuring cadence, speed and the power you are putting into the pedals and decides how best to support your pedalling. Its not like the electric bikes of old that as soon as you start pedalling it pushes the bike forward. I found it easy to forget I was riding an electric bike, at times I switched off the assistance to make sure it was still working. Its an amazing bike. I was genuinely blown away buy how intelligent the assistance was. There was a section on the trail where you have to go through a gate and I found myself scooting along with one foot clipped in and the other on the ground. You would think that the Bosch drive would be trying to urge you on but it just doesn’t. I assume its because of the sensors not picking sufficient speed or cadence. The Powerfly+ is a versatile bike, I think it will help riders who aren’t fit to get out and have fun. 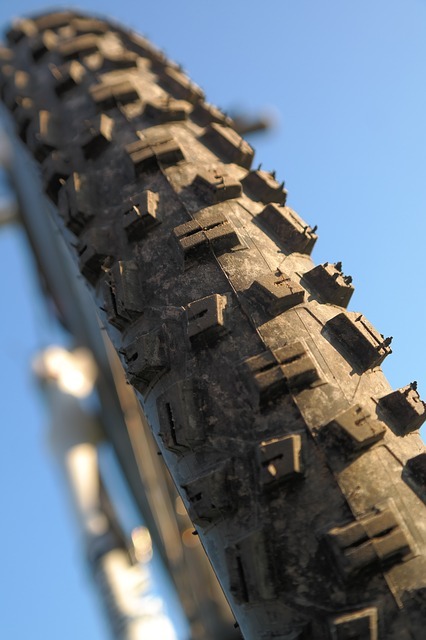 Trail centre riders to do another lap, riders who want the confidence and comfort to ride on the road with a mountainbike but don’t want a knobbly tyre robbing them of speed. It really does make you think differently, it opens up the possibilities. Want to get to work on your bike but you feel its just a little too far? Mornings can be a rush at the best of times so when you are rushing to work use Turbo and on your way home put it in Eco. I live 12 miles from the train station and this will be my new ride to get me to the train on time. I can carry loads of kit with me, laptop, change of clothes, lunch and not worry about all the weight because the Bosch assistance will be gently helping me along. 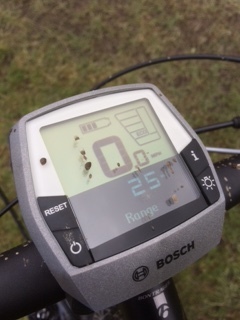 The speed is limited to 25 KPH which is roughly 15.5 MPH. 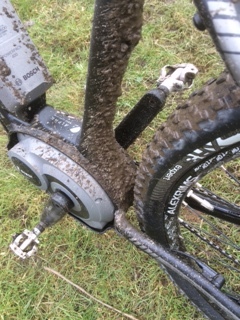 When I have a few more miles done I will update this blog, but the first ride has left me wanting to get back out there and tackle some of my favourite trails on it. 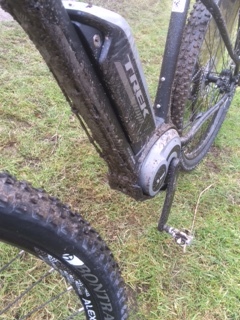 This is a link to the Powerfly+ 7 as Trek don’t have an image yet of the 5 that I tested. We are the first shop in the UK to get hold of these bikes. One of the Cycle to Work partners that we use at Cycle Centre is Cyclescheme, if your employer isn’t signed up to a Cycle to Work provider here’s a link with more information for your employer. Getting a bike through a Cycle to Work scheme makes sense. Not only can you save money (between 25% – 39%, depending on how much tax you pay) you get to spread the cost over a year and there’s no credit check either! You’ve got up to £1,000 to spend, so make sure you make the most of the potential savings by getting a bike package that includes everything you need to cycle to work – this includes the essentials like lights, locks, helmets and clothing which can all be bought through the scheme. 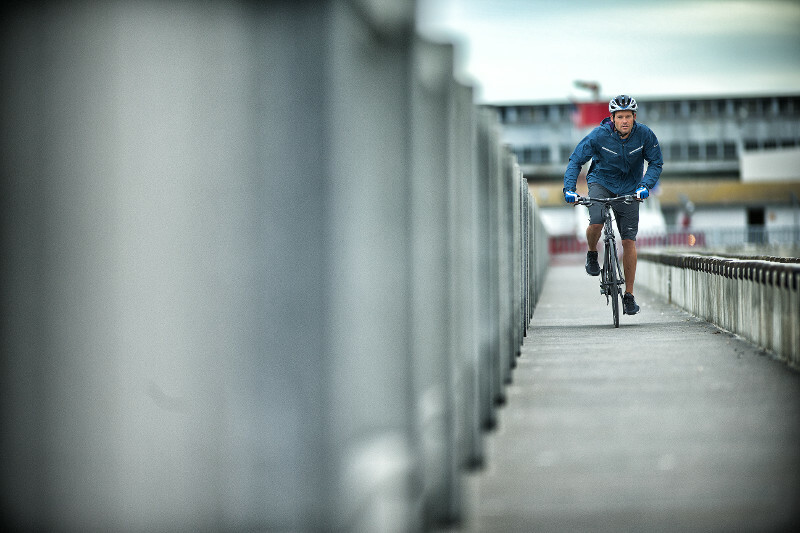 You can choose the right bike for your commute – whether that’s a road bike, mountain bike so that you can take in a trail on your commute or a do it all hybrid bike. This youtube clip is all about Bob and how he wants to get started riding a bike to work. I want to do something with Bobs hair, but apart from that its a really helpful short film. This film explains what happens at the end of the 12 month hire period and what your options are for either keeping the bike or giving the bike back. Hopefully your mind is nearly made up to ride to work, but if not what about the fact that cycling can burn up to 500 calories an hour. Its a low impact form of exercise. Riding gets you out of the traffic and once you have ridden a few times to work and got over the initial wheezing stage, you arrive at work feeling energized and ready for whatever happens during your working day. We just want to get more people riding bikes, and we understand fitting a bike ride into your busy life can be really difficult, so if you can turn your commute to work into a blast on the bike it will be a guilt free exercise session. During October we will be running a Saturday morning steady ride with our friends at the Cycle Hub. Its the ideal ride if you are new to cycling, coming back to riding after a break or if you have just recently bought a bike from us and would like a steady ride whilst you get used to it but would like fellow riders on hand to be able to answer any questions you may have. The route for tomorrow – Saturday 11th October is the Parks and Trails route – This route takes in Newcastle green spaces. A mix of quiet roads and cycle paths. The total route is approximately 12 miles and takes in some gentle climbs. We meet at the Cycle Hub and the ride leaves at 10am. 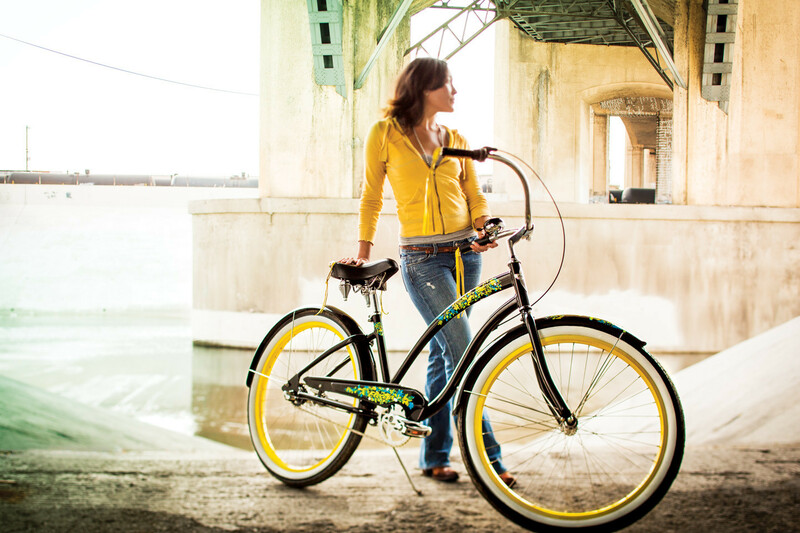 Why should you buy a bike from Cycle Centre? 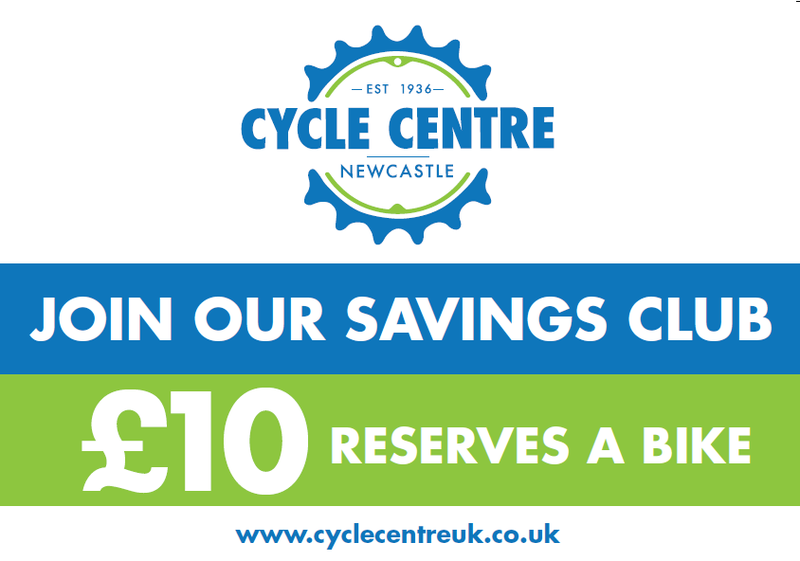 How about ten reasons why you should buy a bike from Cycle Centre! 48 hour priority workshop turnaround on menu services with Cycle Centre bikes, if we let you down we will give you a £10 voucher for your next visit. 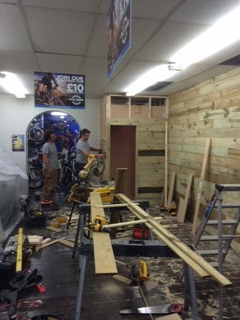 We all ride bikes at Cycle Centre, BMX, mountain and road and we commute most days so we can advise you on what new bits and pieces we are using. All this and I didn’t mention the top brands we stock! We look forward to seeing you instore soon. Do you have a cycling enthusiast in your family? Are your children bike mad? 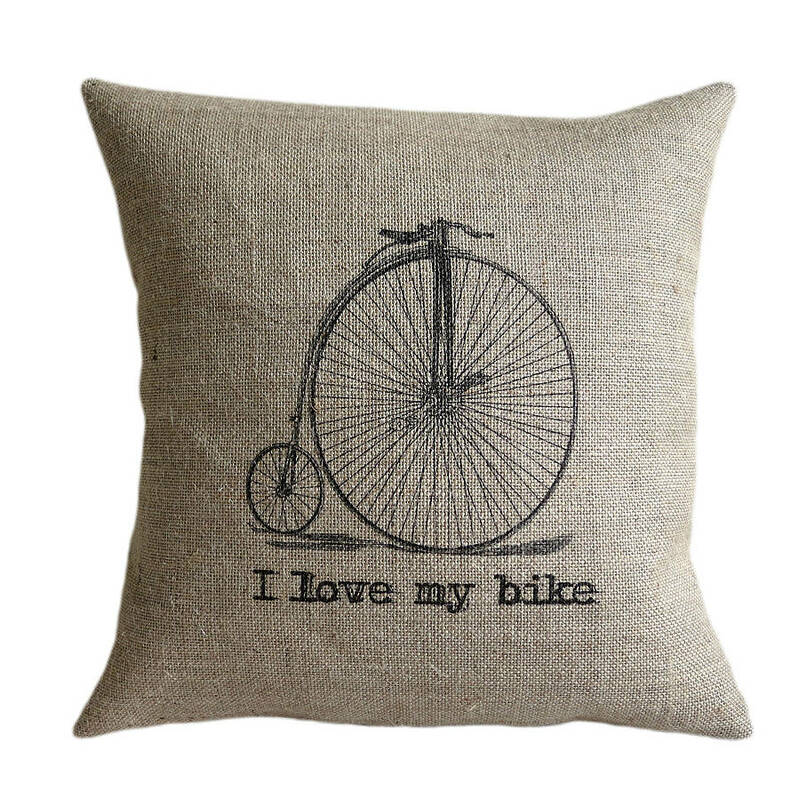 If so, you might like to include a little bit of the cycling world into your home. 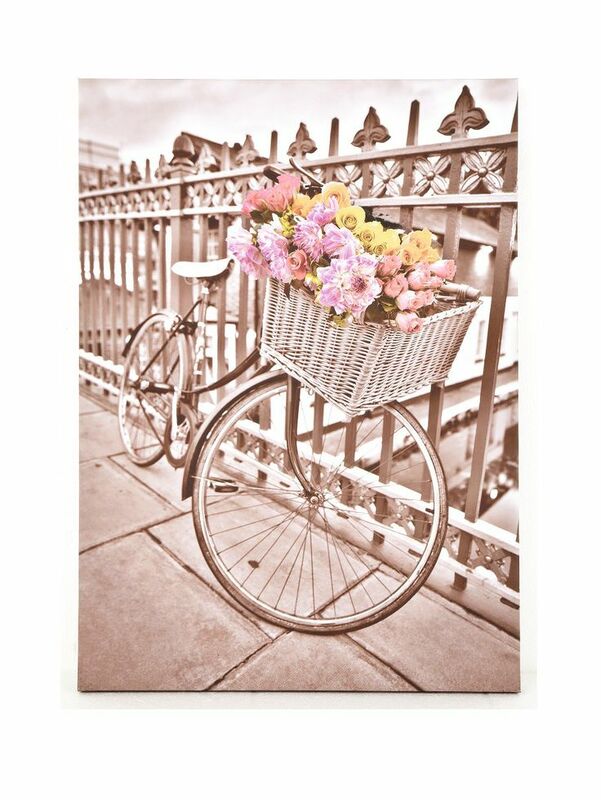 There are lots of ways in which to include cycling home accessories into your decor, and in a stylish way too. We were really inspired recently by an article we saw on the blog, A Beautiful Space, looking at great cycling wallpapers. 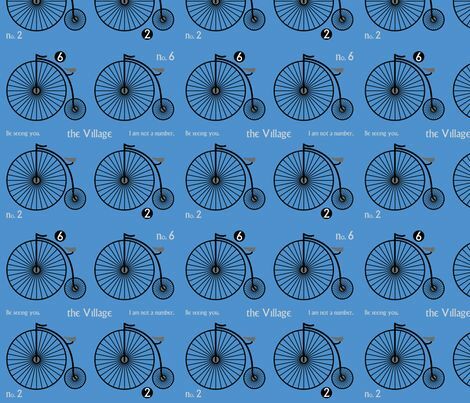 This one, from Spoonflower, sells for £36 a roll, and features very cute vintage bicycle cruisers. Wouldn’t this look great as a feature wall in your home? If you can’t find bicycle home accessories that you like, why not make a feature of the real thing? 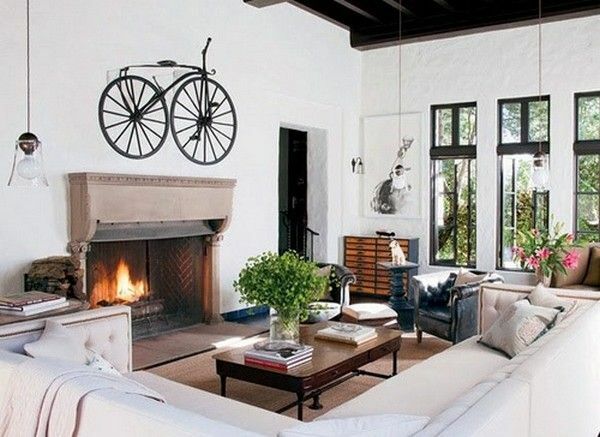 We love this bicycle above the fireplace, creating a real focal point in this living space. These are quite easy to come across, and so it really depends on the style you like for your home. We’ve chosen this Vintage style cushion from Not on the Hight Street that sells for £27, as it has rustic, yet modern design that would suit lots of homes. There are lots of ways to incorporate bike paraphernalia into your home, some of them very subtle. 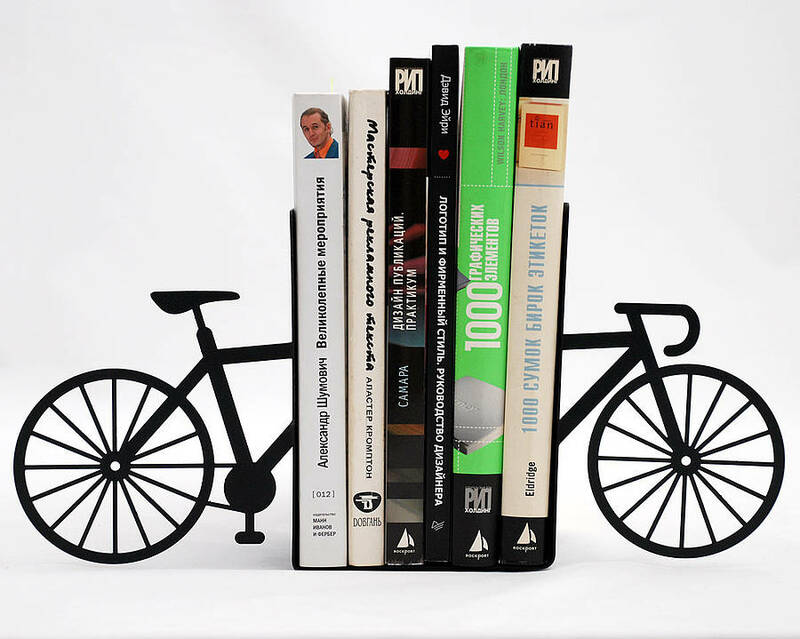 Using something like these wonderful bike bookends, again from Not On The High Street, is an unobtrusive way to do just that. Wouldn’t they make a great gift for your bike mad friend? Of course, if you love bikes, you’ll want to have some cool bike wall art on the walls. This one is from Graham and Brown at Very, and is a very reasonable £22. Could you see this on your walls? Maybe it’s one for the girls. Do you like our selection of bike home accessories? Could you use some of these in your own home? Do you need to do some family bikes maintenance after a Winter stored in the shed? Are the kids itching to get out on their bikes but you really need to check the brakes and raise the saddle? Never fear, we are here with a definitive guide to sorting out the family bikes ready for the better weather. Just keeping the family bikes in great condition is really simple and there are just a few things you need to check to ensure the bikes are safe and road worthy. If you have managed to get out on your bikes with the kids over the Winter, it’s likely that the bikes are now covered in mud and dirt. That’s to be expected, and the sign of a good outing! You do need to clean this all off though, to ensure the bike stays in tip-top condition. 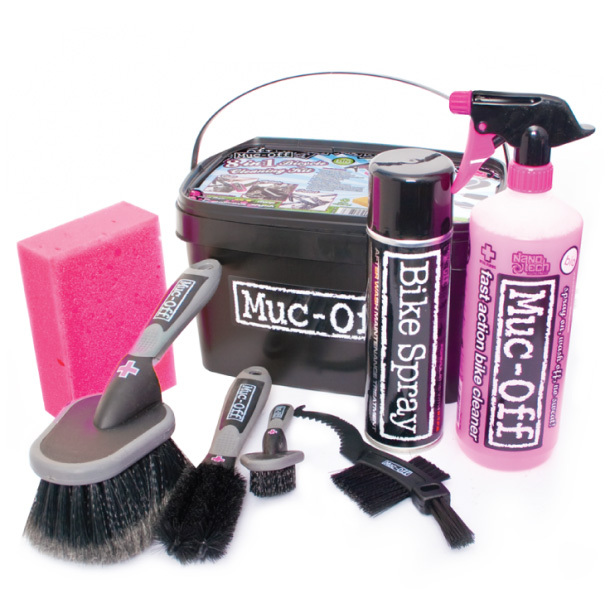 We have a good selection of bike cleaning kits available in the shop. If you’re really serious about cleaning up your bike, and you have done some pretty serious cycling over the Winter, this video has some great tips. What do we mean here? Well get the children to hop on their bikes and check how much they’ve grown. You’ll be surprised how much the saddle and handlebars need adjusting! When kids are learning to ride, it’s important for them to be able to put their feet flat on the ground to aid balance, but as they get more proficient you can raise the saddle so they just have their tip toes on the floor. If you want more precision, take a look at this saddle height calculator for more information. It’s likely that when you haul the bikes out of the shed, at least one of them will have a puncture. If you’re lucky and they don’t, you still need to check the tyres and pump them up correctly. Invest in a few puncture repair accessories so you always have the correct parts to hand, and for a step by step guide check out this great guide from Rutland cycling. Be careful not to over-inflate the tyres, as this can make the ride uncomfortable and dangerous, in fact. Identify the correct tyre pressure, which is usually written on the side of the tyre or from the manufacturer’s handbook, then removed the dust caps from the valve and attach the pump. Start pumping, and remember to test the tyre pressure once you’ve finished to ensure the correct levels. Then replace the dust caps and make them finger tight. Check the brakes pads are properly aligned, and are hitting the bike rim evenly. Inspect the brake pads and ensure there’s nothing embedded in them. Use a knife or sharp object to remove any dust and so prevent the pads becoming unduly worn, or the grit scratching the rims. Finally, take a good look at the chain and apply the appropriate lubricant. Use a lightweight oil specially designed for bikes but if you’re not sure, drop us a line and we can help. So now the bikes are all ready for the Spring! We hope you have a great time out on the bikes with your family. Do you have any other family bike maintenance tips? 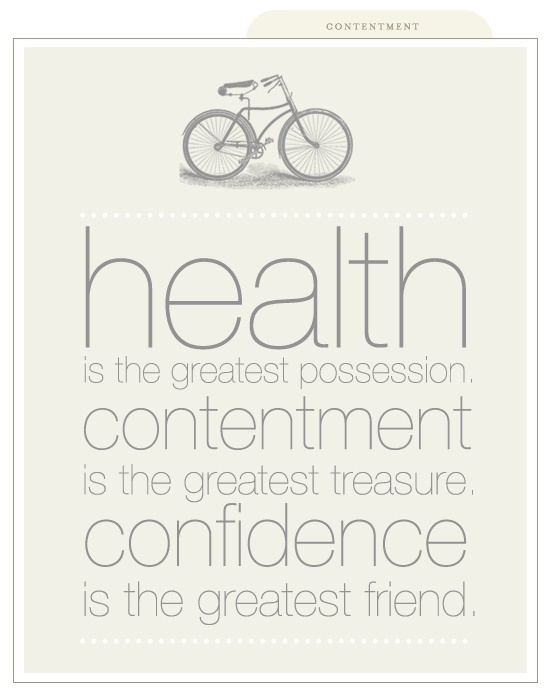 Today’s quote, well it’s not really a cycling quote, more about being healthy and happy which we feel is a great message. Getting yourself, and your family out on your bikes is a great way to bond as we know, and a great way to instill a routine of exercise and a love of the great outdoors. There’s nothing better than feeling the wind in your hair as you free-wheel down that biggest of hills, your kids yelling out as you do so. Being healthy and happy, well that’s our greatest wish for ourselves, family and friends isn’t it, and today’s quote reminds us of that. Have a great weekend everyone, and enjoy your cycling!